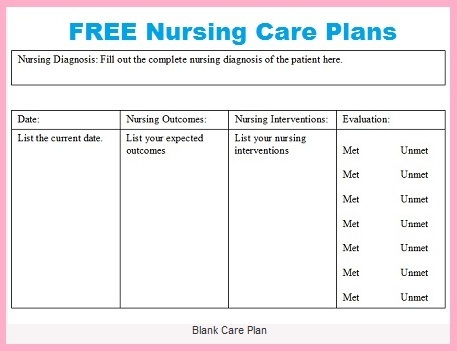 This nursing care plan Risk for Injury includes a diagnosis and care plan for nurses with nursing interventions and outcomes for the following conditions: Diplopia also known as Double Vision. Patients with diplopia, double vision, are at risk for injury due to an impairment of one of the five senses, vision. 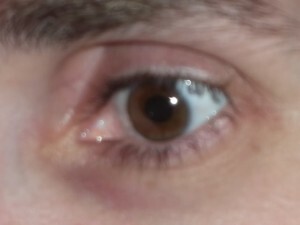 Patients with diplopia see two images of a single item. When a patient’s vision is impaired, as with diplopia, they are at risk for misjudging activities and can cause themselves unintentional harm. There are many steps you can take as a nurse to prevent a patient from injury with diplopia. 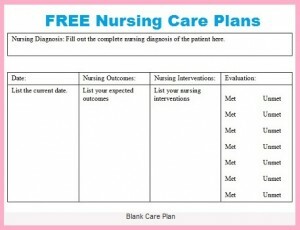 This nursing care plan can help get you on the right track. A 69 year old male was admitted to your floor several days ago with hepatic and renal failure. The patient is almost ready for discharge within the next few days to a nursing rehab facility. He is responding well to the new medications and looks forward to getting out of the hospital. Later on in the day the patient starts complaining of seeing double. You also note that when you hand his noon medications to him, he tries to unsuccessfully grasp them from your hand but misses because he is grasping in the wrong direction. You notify the doctor who orders a CT scan of the head. The CT scan comes back with no abnormal findings. Neurology is consulted and the MD states the patient will need to see an eye doctor as an outpatient and nothing can be done right now. The patient states he can’t wait for his vision to get better. Risk for Injury related to impaired sensory function secondary to diplopia as evidence by patient reporting he is seeing double. Later on in the day the patient starts complaining of seeing double. The patient states he can’t wait for his vision to get better. A 69 year old male was admitted to your floor several days ago with hepatic and renal failure. The patient is almost ready for discharge within the next few days to a nursing rehab facility. He is responding well to the new medications and looks forward to getting out of the hospital. You also note that when you hand his noon medications to him, he tries to unsuccessfully grasp them from your hand but misses because he is grasping in the wrong direction. You notify the doctor who orders a CT scan of the head. The CT scan comes back with no abnormal findings. Neurology is consulted and the MD states the patient will need to see an eye doctor as an outpatient and nothing can be done right now. -Pt will remain free from injury throughout his hospital stay.-Pt will demonstrate how to use the call light to call for help before getting out of bed.-Pt will verbalize understanding about asking for help before he gets out of bed. -Pt will verbalize how to correctly use his eye patch. -Pt will notify the nurse immediately if vision gets any worst. -The nurse will identify factors that will increase the risk for injury to the patient.-The nurse will answer the patients call light promptly and instruct the patient to wait on the nurse before getting out of bed. –The nurse will demonstrate to the patient how to use the call light.-The nurse will educate the patient on how to correctly use his eye patch. -The nurse will assess the patients vision twice a shift for any more deterioration.